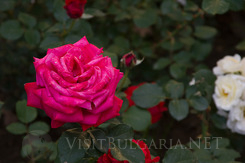 The moment you step in Kazanlak you will inevitably feel the beauty and magic of the Bulgarian Rose. This small, but extremely picturesque town will welcome you hearty and colourful every time you arrive. Even out of the season of the big events honouring the Rose, the town is checkered with colour gardens, where magical flowers bloom. The local people are smiling and are always ready to show you the way to the next historical sightseeing in the vicinity of the town. Countless restaurants and pubs offer Bulgarian traditional cuisine and different thematic dinner parties, whose program includes – fire- dancing, Bulgarian national dances (horo), and the unforgettable music from this part of Bulgaria. They will inevitably make you want to stay another day. You definitely will not regret it. Kazanlak offers countless surprises to its guests. The region around the town is checkered with many archeological and historical monuments that give a unique charm to this small town. Untill the present moment the archeologists have studied 20 of the mounds in the region. Golden ornaments and exquisite manufactured subjects of the local life style, that enlighten the information about the life and believes of our ancestors. The first signs of human inhibitors in the vicinity of Kazanlak are from the neolith epoch before 7-8 millenniums. Later on these lands were inhabited by the Thracians. Their mysterious mounds, scattered in the picturesque valley, provided unique information about the ancient sanctuaries and funerals of Thracian rulers. The nature of this region has combined the beauty and glory of the Balkan mountain range with the fertility of the valley of the Tundja River. The warm mineral springs of Pavel Banya and the villages Ovoshtnik and Yagoda make the region attractive for tourists all year round. 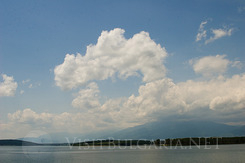 The Balkan Mountain range is raising up the picturesque even fields flecked with fragrant roses and lavender. The routes to Shipka peak, with the emblematic monument build in honour of the Russion- Turkish war from 1877- 1878, offer excellent conditions for eco and mountain tourism. Buzludja peak is also nearby situated. He is also a site with a rich history from the war, because vicious battles took place in the site. “Koprinka” dam is another site that deserves the attention of the traveler. It is one of the best beautiful Bulgarian water reservoirs, situated in the Valley of Roses, just 7 kilometers away from Kazanlak. Its ghostly water hides the remains of an ancient Thracian town Sevtopolis from the second half of the IV th century before Christ. 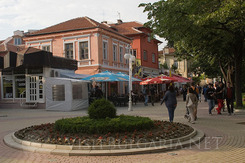 The town of Kazanlak also offers numerous entertainments. 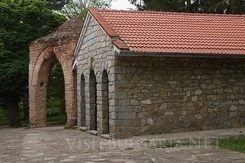 The unique Museum of the rose presents expositions of the Kazanlak Rose, tracing back the 330 year old history of the Bulgarian rose production. You can visit the “Tomy Show Cosmetics” laboratory, where you can dive in the majic of the cosmetic secrets. You will be able to see the production of products from natural rose water from the cosmetic series “Rose- the queen of beauty”. For more information and reservations, please contact our team. Several cosy and hospitable hotels welcome the guests of the town and offer additional attractions and entertainment programs for their unforgettable stay. Please contact our team for additional information and reservations.